Hypo means "lower than normal" and saline/salinity "of or containing salt", therefore hyposalinity in the simplest of terms means a lower amount of salt is contained in seawater than normal. With the salinity level of oceans and seas around the world averaging at around 1.024 (specific gravity), lowering the amount of salt in water by a few points might be called hyposalinity. However, when it comes to saltwater aquariums, this term means bringing the salt content down to a range of 1.013 to 1.010 (specific gravity) to be effective and truly considered as such. All marine creatures require freshwater (as we also do) to survive, they just process it differently. Since their bodies are less salty than the water surrounding them, to prevent the loss of needed freshwater they take in seawater, process it to eliminate the salt molecules, and then retain the freshwater to maintain a balance with nature. When the salinity of seawater is lowered, or hyposalinity is applied, it results in a lowering of the osmotic pressure of the water at the same time, thus the related name: osmotic shock therapy (OST). Fish and a few other sea creatures can withstand and adjust to this change in pressure, but protozoan (White Spot Disease, and Clownfish Disease), dinoflagellate (Velvet or Coral Fish Disease), and flatworm (Black Spot Disease) ich organisms cannot. Reduce this necessary pressure, particularly rapidly, and they literally explode! Be aware, however, that delicate corals and invertebrates may not immediately rupture as ich parasites do, but these marine animals cannot tolerate exposure to low osmotic pressure, resulting in a rather quick death. Hyposalinity is largely ineffective on mature ich parasites that are well protected within the gills, surrounded by thick mucus produced by an infected fish. This occurs when they are embedded deep in the tissues of their host and during the final encrusted cyst stage of life. It is primarily during the free-swimming phase of life when newborn organisms are released from a mature cyst, and before they have the chance to fully attach and develop into mature parasites, that they are most vulnerable and can be eliminated with hyposalinity. Applying hyposalinity or osmotic shock therapy to treat ich problems is a personal decision one has to make. Treating fish in a quarantine tank (QT) with lower salinity can help prevent newborn ich organisms being released by mature cysts from reinfecting the fish during the quarantine period. 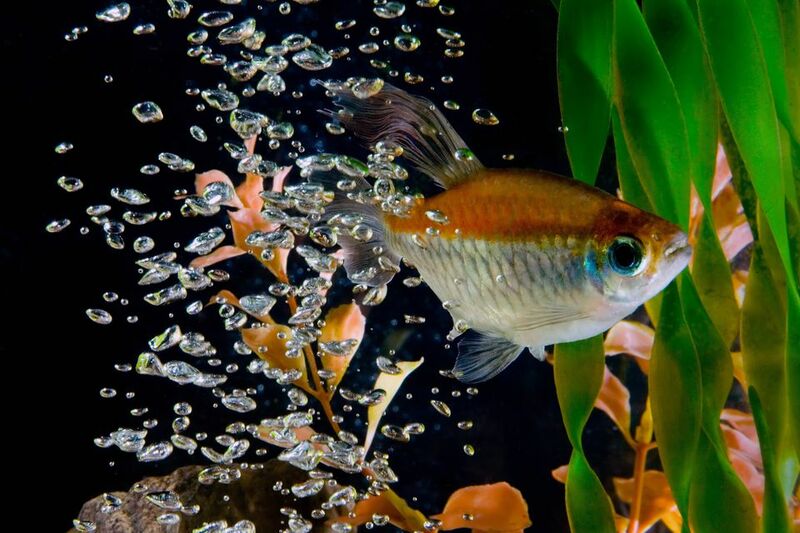 As a preventative measure, place new fish brought home in a QT for several weeks of observation before introducing them into the main aquarium. A QT is not available, or the choice is made not to treat ich infected fish in one. You don't want to leave their aquarium empty with no fish to look at for a month. There is a concern or you want to lessen the possibility of re-infestation occurring after the fish have been treated in a QT and returned to the main aquarium. Re-infestation does occur after the fish have been treated and returned to the main aquarium.